Faith and Fiction Saturday is a weekly discussion of the intersection of faith and fiction. I had a great topic for today but I'm saving it for next week due to the holiday weekend. So for today I thought I'd just round up a few things from the week. Becky had a really interesting post about YA books and Christian teens. 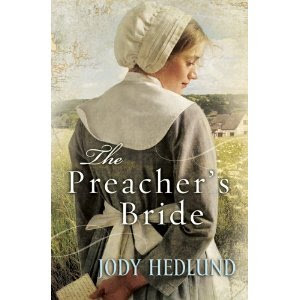 About the Book: In 1650s England, a young Puritan maiden is on a mission to save the baby of her newly widowed preacher--whether her assistance is wanted or not. Always ready to help those in need, Elizabeth ignores John's protests of her aid. She's even willing to risk her lone marriage prospect to help the little family. Yet Elizabeth's new role as nanny takes a dangerous turn when John's boldness from the pulpit makes him a target of political and religious leaders. As the preacher's enemies become desperate to silence him, they draw Elizabeth into a deadly web of deception. Finding herself in more danger than she ever bargained for, she's more determined than ever to save the child--and man--she's come to love. I think that sounds pretty spectacular!!! And last but not least...we announced the INSPYs a new blogger award for excellent faith-driven literature. I hope you'll nominate all the books you loved published in the last year...and help us spread the word so we can find these books! I'm hoping to be to do a lot of reading this weekend! How about you? What's the last great book of faith you read?